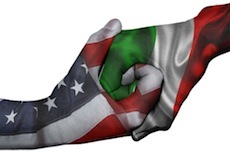 The E-1 “Treaty Trader” program permits Italian Nationals to be lawfully present in the United States for the PRINCIPAL purpose of directing and developing “substantial trade” between Italy and the United States. Can an E-1 Business Bring Italian Employees to the United States? What is “Substantial Trade” for E-1 Visa Purposes? While there is no statutory definition of the meaning of “substantial trade” for E-1 visa purposes the U.S. government does provide written guidance to their consular officers to assist those consular officers determine whether trade is “substantial” or not. 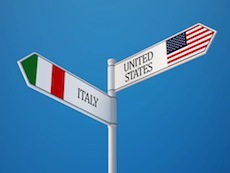 This written guidance directs consular officers to “primarily focus on the volume of trade conducted” between the U.S. and Italy and to also consider the monetary value of each transaction as well. Preference is given to cases involving more numerous transactions of higher value. The final analysis as to what constitutes “Substantial Trade” is case specific. Our firm has been involved with cases involving the frequent export of clothing and food from Italy to the United States where higher-volume lower value transactions have constituted “substantial trade”. At the same time a lower volume of higher value goods, such as Italian manufactured machinery, has also been held to constitute “substantial trade”. What are the Downsides of an E-1 Visa? E-1 treaty traders are be admitted to the United States “solely to carry on substantial trade, including trade in services or trade in technology, principally between the United States and the foreign state of which he is a national.” If an E-1 business changes its trading patterns so that it no longer principally maintains “substantial trade” with the U.S. then E-1 status will come to an end. In one example, an E-1 business in the U.S. trading with Italy continued trading with Italy but expanded trade with other nations. The increasing trade with the other nations was deemed to violate the requirement that the “substantial trade” be primarily with Italy. In these circumstances the business was no longer E-1 eligible and its Italian employees were “out of status”. While E-2 visas are subject to the doctrine of “substantial change” a change in or expansion of the trading patterns of an existing E-2 business might not invalidate the E-2 status of employees. Do I have to leave the United States to Apply for an E1 Visa? An E-1 visa can only be obtained from a US consulate outside the United States. You can apply for “change of status” to E-1 status from within the United States but you cannot obtain an E-1 visa from within the United States. What is Davies & Associate’s Record with E-1 Visa Applications? As of November, 2014 no E-1 visa case filed by our firm has ever been denied. Where will my E-2 Visa Application be Processed? While “change of status” to E-1 status is processed in the United States, E-1 visa applications are processed in consulates outside the United States. Every U.S. consulate maintains differing procedures for the submission, processing and adjudication of E-1 visas. 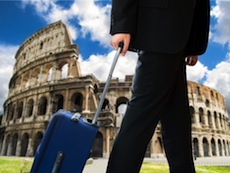 It is therefore critical to work with a law firm that not only maintains a U.S. presence but also has a solid understanding and knowledge of the U.S. consulate in Rome. Davies & Associates facilitates this through the firm’s direct presence in Rome. 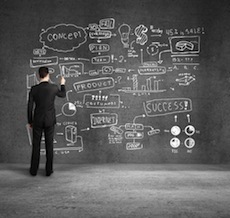 How Critical is a Business Plan for an E-1 Visa? Unlike an E-2 visa an E-1 visa is NOT an investor visa. That said, you do need to demonstrate that you meet the substantial requirements for an E-1 visa. Your business plan is your opportunity to explain how your immediate and long-term business objectives meet the requirements of the E-1 “treaty trader” visa program. Our U.S. offices frequently provide clients with advice on these and other processes for obtaining U.S. nationality. The only Route to an E-1 Visa? Nationals of non-E1 treaty countries, such as Brazil, are unable to obtain E-1 visas. For applicants from these countries the ability to obtain Italian Nationality can sometimes be the only route to an E-1 visa. A surprisingly large number of Brazilian Nationals do qualify for Italian Nationality. 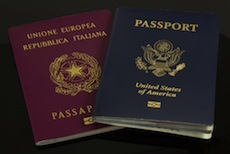 Through our relationship with Cavalier & Cavalier in Rome our firm can also assist eligible U.S., Brazilian and other Nationals obtain Italian Nationality.